I really like nuts in biscuits and cookies, the rest of the family not so much. This is a good compromise. 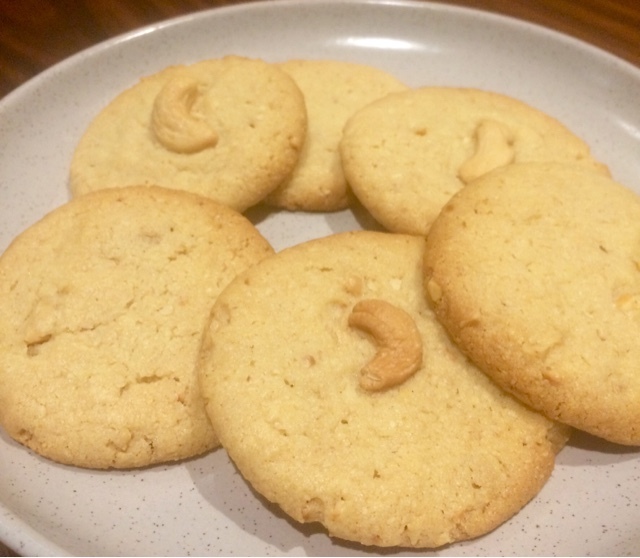 The cashew nuts provide texture but are not as hard or crunchy as almonds. 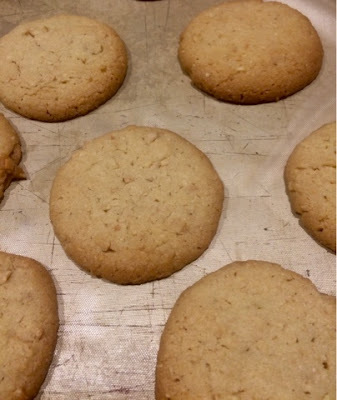 I use oat bran, however, it can be omitted and the flour increased to one cup. 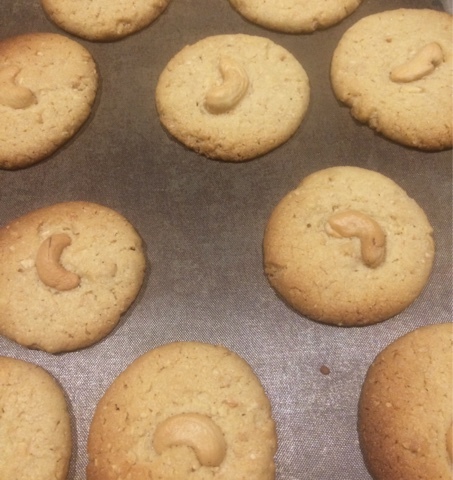 When I make them I decorate some with cashews for me and leave the rest plain. 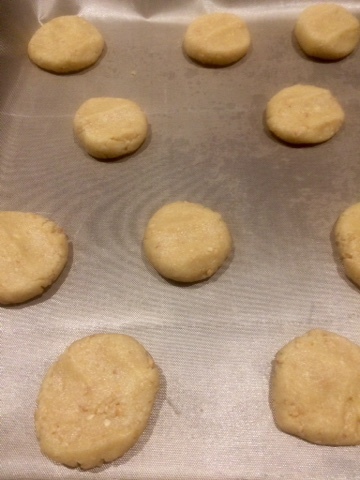 Roll the dough into balls and flatten with your fingertips. Allow a little room for the cookies to spread. I usually place ten per tray. Bake until pale golden brown, they tend to get browner on the edges. Or decorate with a whole cashew if desired and bake. Cream (beat) butter, sugar and vanilla essence until light and fluffy. This can be done in a food processor. Stir in flour and oat bran, mix until well combined. If using the food processor use the pulse action. Bake the cookies at 160/170 deg C until light golden brown. Approximately 15 minutes.